Cristiano Ronaldo’s nine-game scoring streak came to an end as Holland beat Portugal 3-0 in Geneva. 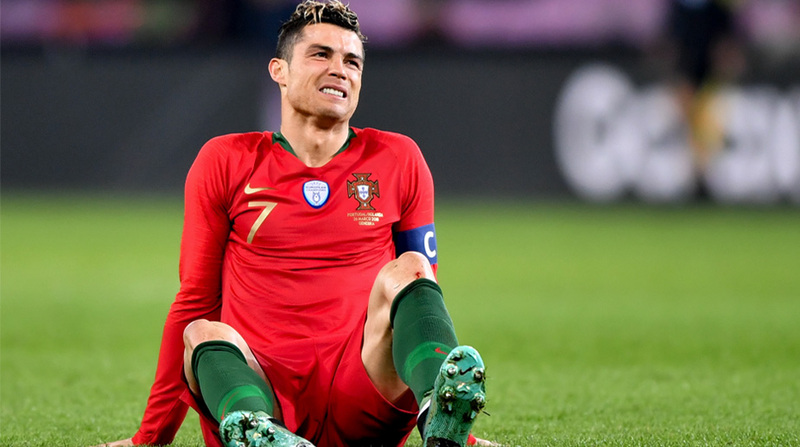 Cristiano Ronaldo’s incredible nine-game scoring streak came to an end as European champions Portugal were beaten 3-0 by Holland at the Stade de Geneve in Geneva, Switzerland. After Ronaldo’s late show against Egypt on Friday, Fernando Santos’ men were on a high and coming into Monday night’s tie in the famously neutral nation, were heavy favourites to end the final international break of the season on a high. And while the Iberians made a number of changes to the side that beat Mohamed Salah’s Egypt, they still fielded a very strong side and up against them was a team that had been pedestrian in a 1-0 loss to England just a few days ago. Yet, as is often the case in spot, the underdog started the game with more desire and the Dutch would find themselves ahead after ex-Manchester United man Memphis Depay deftly finished Donny van de Beek’s pass in the 11th minute. Portugal were stung into action but with their star man having a rare off-day at the office, struggled to break down Holland’s five-man defence. In fact, Ronaldo would kick into the ground and then scream petulantly for a penalty, much to the mirth of the Dutch fans present there and many neutrals watching the game on their television sets around the world. And the 2016 European champions’ night would get worse little after the half-hour mark when former Liverpool winger Ryan Babel managed to direct Matthijs De Light’s fierce cross-shot into the back of the goal with his head. Portugal kept trying to get one back but all Jasper Cilessen had to do was catch routine balls from time to time and his opposite number, Anthony Lopes, was definitely the busier of the two custodians. Lopes somehow saved a fierce close-ranger header to deny the dutch from going 3-0 ahead but could do nothing when Liverpool centre-back Virgil Van Dijk sweeelyy volleyed into the bottom corner just before the interval. As expected, Portugal came flying out in the second-half but Cilessen wasn’t letting anything past him and superbly dived to his right to tip Ronaldo’s goal bound header around the post. After that Cilessen was a virtual spectator, just catching wayward crosses for Portugal shot themselves in the foot as fullback Joao Cancello got himself sent off for a second bookable offence to cap off a miserable evening for the Iberian nation.